Halloween is one of my favourite nights of the year. It’s the perfect time to get dressed up, play games and watch films about famous villains. If Halloween is your kind of holiday, then how do you fancy actually catching the villain this year? And what about playing the part of your favourite Halloween star and not just dressing up like them? If you want to experience something a bit closer to the real thing, here is your chance. 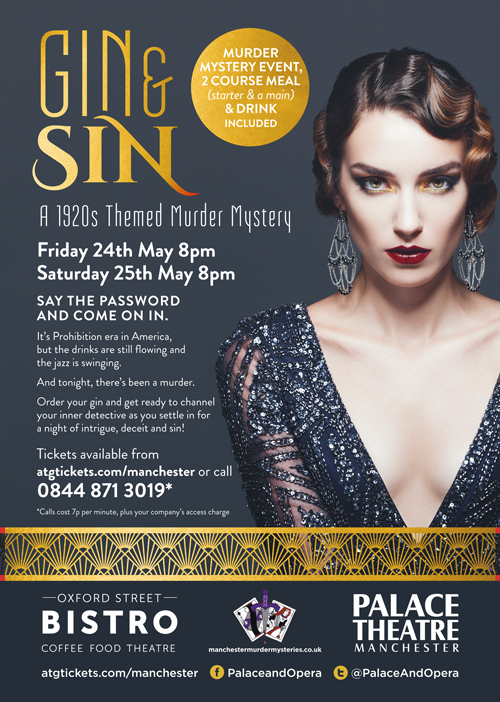 At our murder mysteries, we don’t use actors – you are the stars! 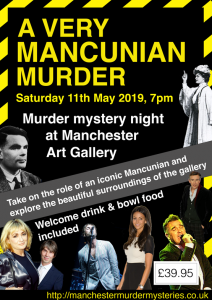 Each of you will be given a horror or Hollywood themed character and then have a great night playing games, hearing from suspects and listening to witnesses to find out who the criminal among you is. This year our Halloween murder mystery theme is ‘Hollywood Undead’ and will include your favourite characters from the world of classic horror as well as a few Hollywood greats. Don’t worry! If you really don’t want a speaking role, then let us know. On the night once you’ve seen a few people play their parts and you think it looks fun, just let us know and we’ll find a spare role for you. Decked out in lights on the famous Deansgate stretch is The Deansgate Tavern. A favourite for locals, we’ll have exclusive room hire with a private bar and dining area. Treat yourself to a night in the Hilton. It’s just next door! 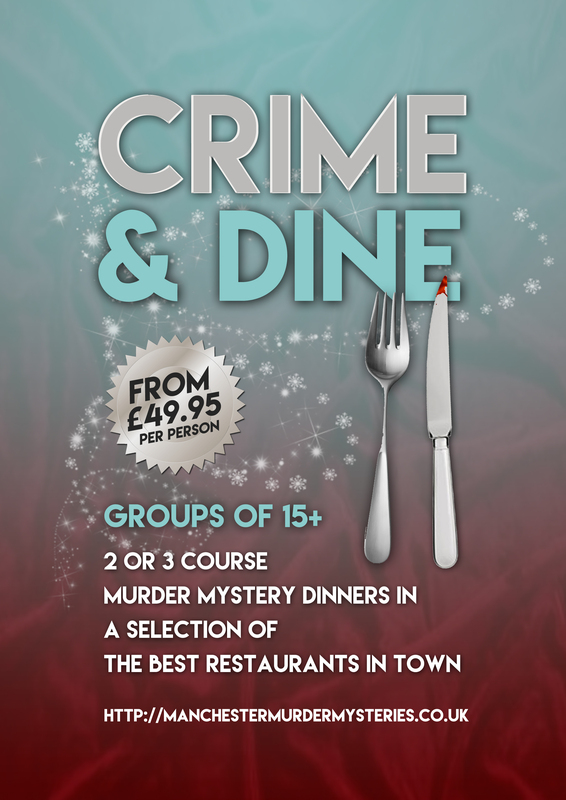 Looking for an excuse for a work night out? Are you well overdue an evening out with friends? 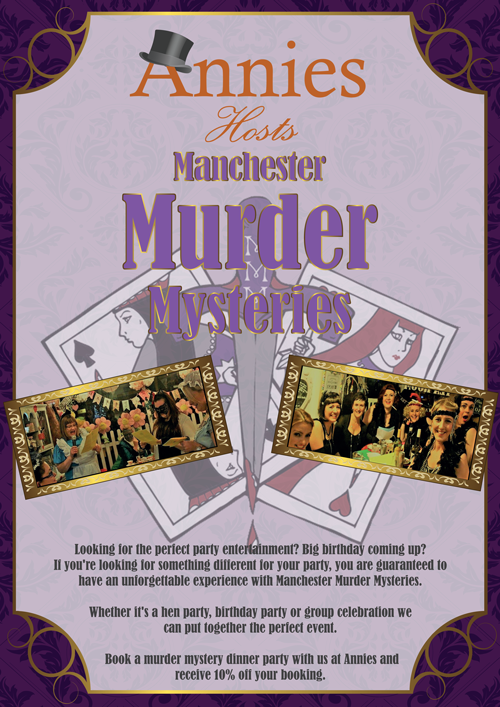 Our murder mysteries are perfect for groups of any size and couples who fancy doing something different. Click here for tickets to ‘Hollywood Undead’ in Manchester. For or details contact us here.